Turnover in the first half of the year averaged 96%, setting 2018 on pace to have the highest annual turnover rate since 2013, according to American Trucking Associations’ Trucking Activity Report released this month. “There is a lot going on. So we try to be very up front at hiring so we don’t lose people by having them coming in later to say this isn’t what they were looking for,” he said. The Los Angeles-based company has 600 Class 8 tractors, and LTL is its largest division. LTL turnover jumped 4 percentage points to 14% — or the highest mark for this traditionally stable sector since the first quarter of 2013. “This will prompt an open dialogue and allow you to set ground rules or expectations for the person that will reduce the chance they leave,” Guest said. We believe if we reduce those stress points and create respect for drivers, more people will want to do this job and more drivers will stick around. Meanwhile, it’s quite possible more leased drivers are leaving to go into business for themselves. Freight is plentiful, rates are strong and small fleets are finding they can secure freight with their fingertips, said Dan Lewis, co-founder and CEO of Convoy. Seattle-based Convoy is a freight-matching technology firm that offers a variety of related apps. Using digital technology for securing loads can reduce driver turnover, Lewis said. Hunting for freight digitally can make the experience less stressful for drivers, offers greater visibility and planning and is managed with consistent rules, he said. Enhancements in pay, securing driver-friendly freight and continuing to build individual relationships with our drivers has improved our turnover over the past year. Elise Leeson, vice president of human resources for Averitt Express, agreed that effectively addressing turnover is more than doing just one thing better. “We put a lot of focus on our company’s culture and continuously look for ways to improve the driver experience. Enhancements in pay, securing driver-friendly freight and continuing to build individual relationships with our drivers has improved our turnover over the past year,” Leeson said. Averitt Express ranks No. 32 on the Transport Topics Top 100 list of the largest for-hire carriers in North America. A lack of benefits also is a large part of why employees leave, said Marilena Acevedo, vice president of Human Resources at PetroChoice, a national lubricant distributor with a proprietary fleet of trucks. PetroChoice is based in Fort Washington, Pa.
Medical, dental, vision, 401(k), life insurance and long-term disability are among the top benefits that help minimize driver turnover, she said. The more benefits that are entirely employer-paid the better, she added. “We also have something called the Helping Hand Fund program to help our employees financially in the event of an unexpected catastrophic event or family emergency. This program is an IRS 501(c)(3) compliant program that allows the recipient to receive up to $5,000 tax-free and, since its inception in 2012, this program has helped 44 employees,” Acevedo said. We also have something called the Helping Hand Fund program to help our employees financially in the event of an unexpected catastrophic event or family emergency. Hiring bonuses may be driving part of the turnover trend, said Susan Power, principal at Power HR Inc. in Halifax, Nova Scotia. “A lot of carriers are offering significant sign-on bonuses for new drivers. They are effective for attraction, but I do not think the retention is positively impacted by these. Carriers should look at driver-retention bonuses, not just sign-on bonuses,” Power said. 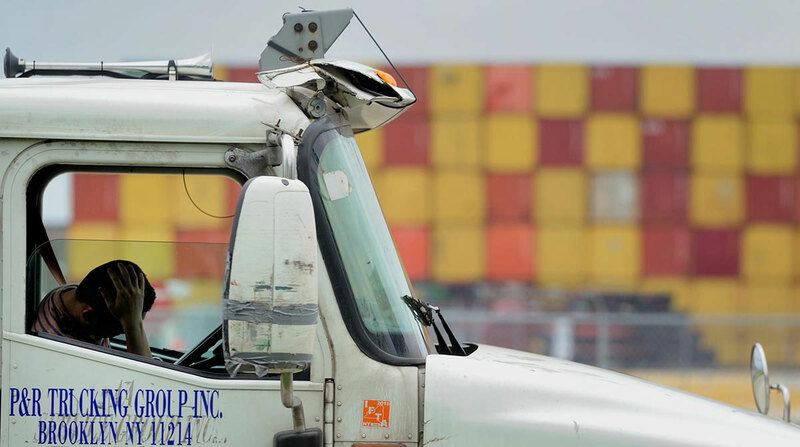 More than just fleets are watching turnover, especially with peak shipping season at hand, said Leo Ospina, business development manager, at San Francisco-based Flexport, a freight forwarder. “As the trucking market becomes more driver constrained and we start to enter peak season, it’s important for freight forwarders to closely watch and monitor the driver turnover rates at fleets to ensure that freight forwarders can provide reliable and timely service for their clients,” Ospina said. Sometimes, though, even a pricey geographical area can create driver churn. “Especially in California, we end up losing people because they want to move out of the state. They don’t want to live here anymore. It’s too oppressive with taxes, and the cost of living is so bad,” Dependable’s Finney said.